Why should I choose The Uniform Company as my uniform supplier? How good is the quality of your uniforms? Do you manufacture in Australia? Do you use offshore manufacturing? Can you supply a special colour or pattern for our uniforms? Can I have embroidery or printing added to garments I order? I am ready to place my order but I am unsure of what sizes to order? What can we do for someone who needs very large/small or special fit garments? What is the minimum quantity of garments that I can order? Where can I see samples of your uniforms? Can a representative visit me? Can you send me a catalogue of your designs? Will you hold stock of our uniform? We have an event where we need uniforms, can you guarantee delivery by this date? Can I collect my order when it is ready? Q 1. Why should I choose The Uniform Company as my uniform supplier? 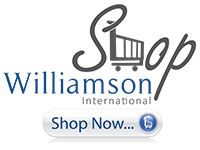 A: The Uniform Company is part of Williamson International that is a family owned and operated company whose consultants have assisted over hundreds of schools to update or design their uniforms. When you select The Uniform Company you will hear honest advice and receive fair prices. Q 2. How good is the quality of your uniforms? A: The Uniform Company backs the quality of every garment we manufacture. Our design system maintains information on every aspect of your uniform so it will be exactly the same as the sample every time you order. And our sales staff will respond promptly if you ever find a problem with the quality of uniforms and ensure that you will have the fault repaired, replaced or credited. Q 3. How competitive are your prices? A: The Uniform Company are very competitive on prices and our garments can stand up to school wear and tear which means saving for parents! However, we are always keen to meet or better other quotes you receive on the same items, please contact one of our Sales Team to discuss this further. Q 4. Do you manufacture in Australia? A: Yes. The Uniform Company operates our factory in Brisbane where we have the latest computer aided pattern making, sewing and embroidery equipment. We also have the largest knitwear manufacturing operation in Queensland using the latest in computerised knitting machinery to provide high quality garments for our school clients. Q 5. Do you use offshore manufacturing? A: Yes. The Uniform Company sources from reputable firms in China, Vietnam, Pakistan, New Zealand and Fiji so that we are able to offer competitive price options. All of our suppliers maintain high quality standards and implement ethical employment practices. Q 6. Can you supply a special colour or pattern for our uniforms? A: Yes. We can access specially dyed colours, patterns or stripe/check design fabrics for our clients. As these fabrics are not stock lines they do take additional time to order and an unused fabric guarantee may apply. Q 7. Can I have embroidery or printing added to garments I order? A: Yes. The Uniform Company have their own in-house embroidery machines allowing us the control and flexibility to ensure this process does not delay the overall production process. We can also organise screen printing on your items. Please review our embroidery and screen printing page for more information and check with our Sales Team for further information. Q 8. I am ready to place my order but I am unsure of what sizes to order? A: We understand that the same size may be a different fit depending on the brand. The Uniform Company is able to provide a sample garment size rage when we design and manufacture your uniforms. Contact our Sales Team to discuss your requirements. Q 9. What can we do for someone who needs very large/small or special fit garments? A: Where The Uniform Company is manufacturing your uniforms we can offer a Custom Size service where for an additional charge we make a small quantity of items in the needed size. This is a specialist service and additional time will be required for delivery. Contact our Sales Team to discuss your requirements. Q 10. What is the minimum quantity of garments that I can order? A: The Uniform Company allows customers to place low minimum quantities of 25 items per style for Custom Made garments using an existing pattern, or a minimum of 100 garments when requiring a new pattern for garments manufactured in Australia, minimum quantities can be made up of an assortment of standard sizes. Minimum order quantities for Off-Shore orders vary depending on several factors; please contact our Sales Team for more information. Q 11. Where can I see samples of your uniforms? A: Our Eagle Farm showroom is open Monday - Thursday 8.30am - 5pm and Friday 8.30am - 3pm. Contact our Sales Team to arrange a suitable time for an appointment and discuss the sample items you would like to see at that time. Q 12. Can a representative visit me? A: We are based in Eagle Farm, Brisbane and our Sales Team regularly visits customers from as far north as Darwin through Northern, Central and South East Queensland, to New South Wales and as far south as Canberra. These trips are planned in advance and we can schedule a time to visit you during our next trip. If your school is in South East Queensland then call us and we can discuss a suitable time to visit you. Q 13. Can you send me a catalogue of your designs? A: The Uniform Company makes hundreds of designs of school uniform items and with so many designs available it is impossible to provide a single catalogue. We do have a catalogue that will show our some of the more popular items and provide you with a starting point when introducing a new uniform, one of our experienced Sales Team would be happy to assist you with the selection of a new item that will be suitable for your requirements. Q 14. How expensive is freight? A: For orders with an order value over $500 excluding GST goods will be delivered for free, orders under $500 will be charged freight at $20 per box. Unfortunately we are unable to offer FIS to customers in remote / isolated parts of the country or international orders, but we will provide you with the best freight options available from our carriers. Q 15. Will you hold stock of our uniform? A: If you would like to discuss Stock Holding Solutions please contact our Sales Team to discuss this in full detail, Holding Stock arrangements are negotiated on a customer by customer basis to ensure we can provide you with the best possible options for your individual situation. Q 16. How do I pay for my order? A: The Uniform Company accepts payment by cheque, electronic funds transfers and credit card, Mastercard & Visa only. Some initial orders may require a deposit with the balance payable on/before delivery. Q 17. We have an event where we need uniforms, can you guarantee delivery by this date? A: We understand that certain orders may be required for specific dates. While we will always try to supply orders before or on time this may not be possible depending on the factors outside our complete control – stock/ fabric availability, manufacturing times and international/local shipping. If you have a specific deadline you need to meet, please alert our Sales Team before placing your order. Q 18. Can I collect my order when it is ready? A: Yes. The Uniform Company allows customers to collect their order from our offices in Eagle Farm, Brisbane. If you intend to have an order collected you will need to advise us in advance of the person/courier collecting the items and they will be required to sign for the items. Should you wish to use your own freight company you must advise your Sales Consultant when placing the order.